Copies of current and past issues of the VMHB are available from the Museum Shop for $4.00 each, plus $8.95 shipping and handling. Please note: Issues are not available for purchase online, though e–mail enquiries are welcome. For a fee, the society now offers members online access to the magazine through JSTOR. The cost of this additional service is an annual fee of $40 (not tax deductable). Please allow up to 10 days for your new JSTOR account to be activated. 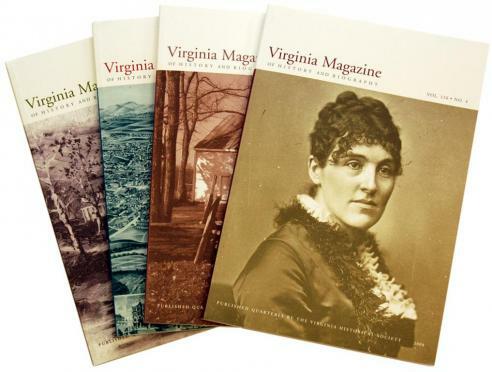 Purchase a subscription today or contact Matt Weber at 804.342.9658 or mweber@VirginiaHistory.org for more information.